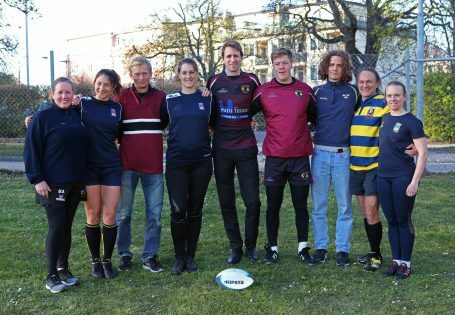 News | Lugi Lions Rugby Football Club | Lugi Lions RFC playing at the Centrala IP in Lund, Sweden with men's, women's, youth and social old boy's teams. 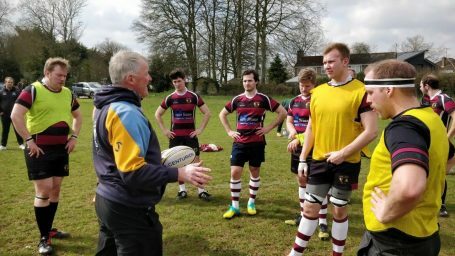 In order to advertise the game between Sweden and Hungary on May 11th, we present a selection of LUGI Lions RFC players who competed for the national team. Ticket price is 100:-. When booking 10 tickets a 20 % discount is given. 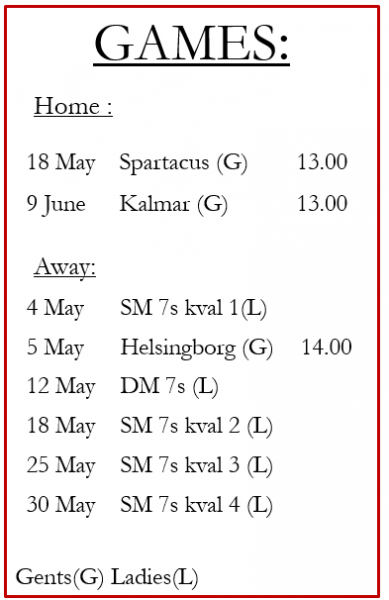 For bookings, contact Troján at spela@trojanrugby.se. Sandra Olofsson, U-18 7’s in 2015. We are proud of your achievement and are looking forward to more LUGI Lions being involved in the national team activities. This entry was posted in News on April 18, 2019 by Lisa. The long awaited return to the grass was finally made this past weekend as out ladies took the short trip to Limnhamnsfältet in Malmö to compete in this year’s installation of the Malmö Open. In the second year of the tournament the level of competition took a serious turn as national teams from Denmark, Finland, Norway and Sweden all competed over the weekend. Our girl ended up in a group containing old friends Tabusoro, Finlands 2nd XII and Vänersborg, a tough group by any standards but with lots of potential for the team to try out new players and solidify some combinations in the run up to the competitive calendar. Just like when we met at Håckes, Tabusoro arrived with many seasoned internationals in their ranks and whilst the girls fronted up, the difference in standard was immediately revealed as Tabusoro ran in a quick try mere seconds into the game. Whilst the trys in the first half seemed to flow for the Fijian outfit our girls weren’t without riposte as both Lisa and debutante Therese managed to find holes in the blue line following nice lines of attack. Despite the game being out of our reach at half time, the second half performance was of a higher standard, with our defense being particularly please as we managed to rebuff the Tabusoro attacks on many occasions, keeping our opposition honest and having to put a lot of effort into keeping a hold of the ball. Finally, the game also featured the first Lugi comeback of the weekend as Elizabeth Sonnenholzner was back out onto the rugby pitch, great to have you back Elizabeth! Our second game of the day saw us take on Finland’s 2nd VII in what was the first of of our three meetings that weekend. The instructions for the girls revolved around pressure at their attacking rucks and shifting the ball to the space, something the girls took to heart and executed with aplomb. Finland barely made it out of their own half during the entire first half as our girls creating plenty of chaos and causing turnovers at ruck time, eventually leading to our first try which was superbly finished off by captain Sandra Olofsson who navigated her way past three finish defenders to finish under the posts. Try number two was one of our best scores of the weekend as our girls put four flowing phases together following a scrum on halfway, eventually leading to Lisa making a switch of play to the blind in order to put Linn Nilsson over in the corner whilst under pressure from two opposition defenders. Half time and the score stood at 12-0 to our Lionesses. The start of the second half brought another welcome return with club captain Rebecka Hällblad stepped onto the pitch following a 9 month layoff, a sight that everyone was happy to see. As expected, Finland came at us hard to start the second half but our ladies were well up for the challenge and once again managed a score following a scrum at the halfway line. This time is was Josefin Dynefors who made the initial break with some fancy footwork to get us within the oppositions 22m before managing to finish the move off herself two phases later with another step and a stretch for the line. The rest of the game was played out with Lugi in control of the game, with both sides having chances but being unable to convert into points. It was however Finland who had the final say in the contest as a quick lineout lead to a linebreak and the final score of the game to see the match finish with a 17-5 Lugi win. The final group game pitted us up against a tough Vänersborg team and with one win under the belt coach Ross Watson sent out a young and inexperienced team which was to be ably led by Lugi stalwart Ulrika Leishman. 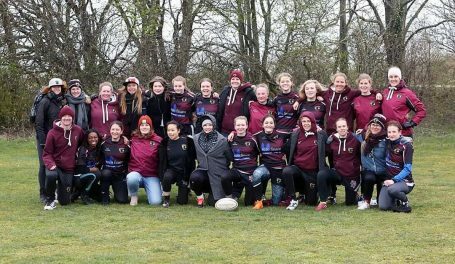 Whilst the lack of experience showed on the park, our girls battled bravely, making Vänersborg produce some good rugby in order to cross the whitewash. Once again, the game was out of our grasp by half time but that didn’t stop the girls from putting in a much improved second half defensive display with Freja Franzen bringing down anything that came through the Lugi line. With day 1 being a wrap, the girls found themselves in the Bowl playoff and facing off against Kalmar and Finland 2s once again. With Kalmar having already lost in the first game of the day to Finalnd 2s a win in our opening game of day 2 would guarantee us an appearance in the plate final. Our girls got off to a great start in the game, with captain Sandra Olofsson leading the way with the first two scores as she once again managed to squeeze her way between two defenders to run in under the posts for her first score before using some quick thinking from a tap penalty to take the defense by surprise and go in at the corner. The third score of the half saw our latest sniper on the wing Linn jog in an easy try on the outside following some basic hands down the line. The half and the game were finished off when Josefin Dynefors navigated her way around the outside of the opposition following well won turnover ball. The second half brought a raft of changes as the bench was well utilised in order to keep the team fresh, but despite the turnover the team still managed to produce two more scores to round out the game, with the first coming through Elizabeth and the second with Mia Wilkinson. With the win in the bag we now knew we had two more games against Finland 2s to finish up the tournament. Having defeated them on day 1 of the tournament, we knew Finland would come out looking for revenge and some momentum as we would be meeting again in the Bowl Final. Once again we sent out our young guns in a game that was sure to give them lots of good experience. The game played out much as expected with Finland taking control of play, having adjusted many of the aspects of their game in which we took advantage of them the day before. The game ended up a one-sided affair with Finland running out winners with a final score of 43-0 and even with an inexperienced side out on the field we never really came up to the standards that we had set of ourselves for the tournament. With that said, we once again gave our newer girls the playing time they deserved following their weeks of hard training and whilst it may not have ended well on the scoreboard, those that went out there all progressed in their own rugby journey and gathered lots of experiences to take forward. Having had a couple of hours to digest our previous loss, we once again took to the now sun basked pitch at Limnhamnsfältet to face Finland’s 2nd VII. With the target of winning this final set, the girls were motivated to go and re-create the first days performance. On a particular pleasing note was that our two youngest players Lina & Linn had taken places in the starting lineup and despite having only played in a handful of games didn’t look at all out of place. This time the game was a tight affair, with both teams putting immense pressure on the opposition attack at ruck time and neither team managing to hold onto the ball for any protracted amount of time and unfortunately for us, it was the opposition who were camped in our half for the majority of the first half’s play. 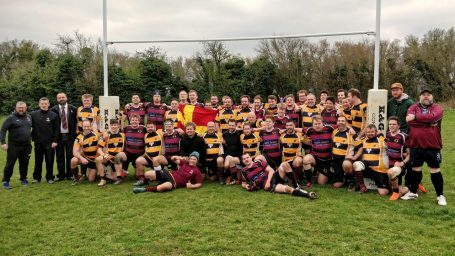 It was this territorial pressure that eventually led to the first score as our own handling error following a scrum led to a relatively soft score on the wing for the opposition and a 5-0 lead. The score appeared to cause our ladies to tighten up a little and whilst we enjoyed good spells of possession we didn’t look like breaking their defensive line in the first half. On the flip side, our defensive game held strong as Finland enjoyed the majority of their possession deep within our half but were unable to cross the whitewash in order to increase thier lead. The second half was practically a mirror of the first as this time it was our ladies that were entrenched in the opposition’s half but being unable to get over the line despite the dominance in both attack and defence. Eventually, following a wide scrum close to the line, our girls were able to work the ball wide into the hands of Linn who dotted down for the tying score despite the attention of two Finnish defenders. 5-5, and if the final whistle had gone there and then, I am sure our dominance of the second half would have continued and lead to our eventual victory. However, the final kick off of the game was also the final play, as a drop in focus on thepchase lead to a ga+ appearing in our defensive line which the Finnish ball carrier exploited with precision to break away and score under the posts. Final score Finland 12 – 5 Lugi. Whilst it was a dissapointing end to the weekend, the weekend once again showed that there is plenty of raw talent in the ranks to back up our growing core of experienced player, which bodes well for a successful 2019 campaign. This entry was posted in Match Report, News, Women's Team on April 18, 2019 by Lisa. My name is Hans Hallstadius. I’m the new chairman of the board. Old members (very old) may say ‘Oh, so he’s back again’. True. I used to play for Lugi Rugby. Between 1986 and 1996 I spent my time in the second row. The same (very) old members may also ask ‘Wasn’t he the chairman at that time?’. True. For 10 years I was a member of the board, and during the last six the chairman. Old members again: ‘Wow! He was the one who wrote Lugis kärlek!’. Not true. Fake news! But I know the guy who did it. 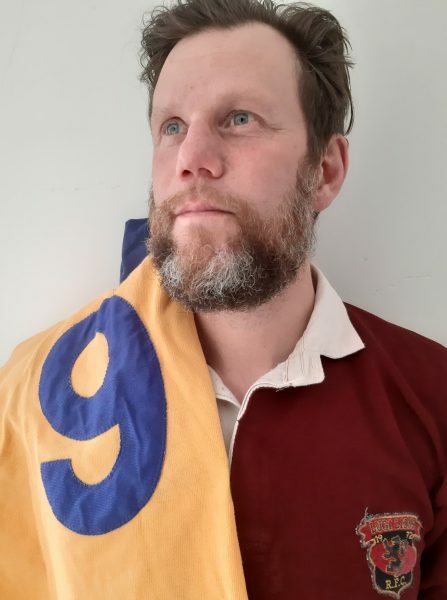 I grew up in a rugby club in Malmö, Slottsstadens Rugbyklubb. In Slottis, I played in the back line or as a flanker. And I’m still confused on how I ended up in the second row in Lugi. Anyway, it was the fullback in Slottis that modified the lyrics of ‘Jesus kärlek’ to become ‘Slottis kärlek’. At an epic training camp in Spain in 1987, Slottis and Lugi travelled together and played as Slugi at a tournament in Barcelona. It was during this camp ‘Slottis kärlek’ was borrowed with pride to become ‘Lugis kärlek’. So what makes me want to be the chairman again? One reason is that I miss rugby. For me it is still The Sport. Another reason is that I miss the social part around the games. A third reason is that, as the chairman in the 90:s, I used to miss the old players when it was time to appoint new board members, and I felt this was an opportunity to change that. And the rest of me? Well, I’m aged 59, married since 27 years (same wife!) and we have two sons, 17 and 22 years old. 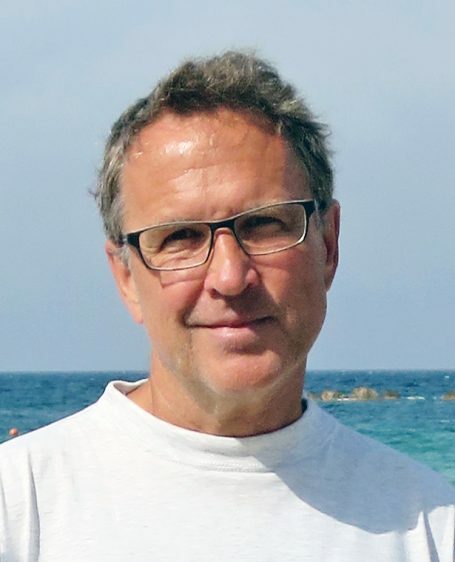 I moved from Malmö to Lund 40 years ago to study engineering physics and meet my wife. We still live in Lund. In my profession at Tetra Pak I have a position as technology specialist. I’m happy to be back to the club! I look forward to seeing you more regularly, both at games and at other events. This entry was posted in News on March 31, 2019 by Lisa.